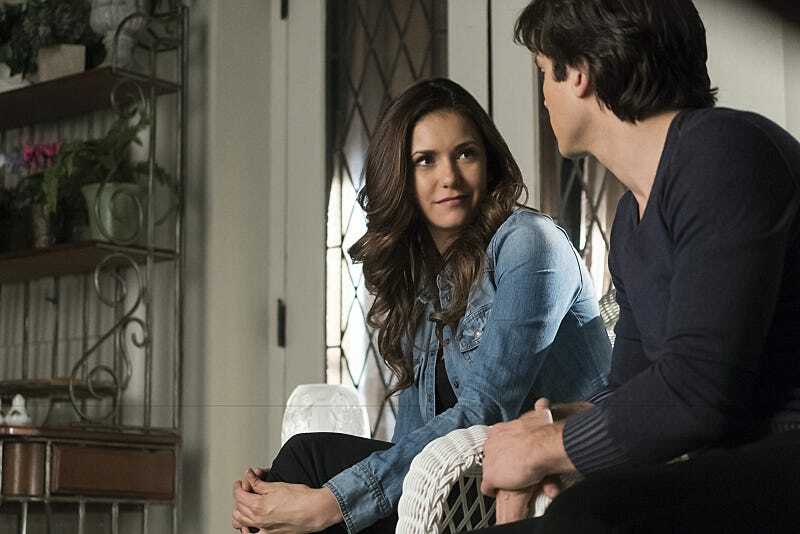 After six years, Nina Dobrev and Elena will be leaving The Vampire Diaries. Also leaving? Michael Trevino and his character Tyler. There's more to come before we wrap this up, and I promise you'll get to hear all about my experiences over the next month as we approach the season finale (I have given an exclusive interview for the June issue of SELF Magazine that I am excited for you to see! ), but until then I invite you to hop on the roller coaster ride that is Elena Gilbert's life and join me as I celebrate her and prepare to say goodbye to her — and to my work family — as I move on to the next chapter of my life. I want to share this goodbye with all of you (this weekend's pictures were just the beginning). You, the wonderful fandom who gave more love, support and passion than anyone could have ever imagined seven years ago, when a young Degrassi girl from Canada showed up in LA to audition for 'that Twilight TV show.' ;-) I love you all. Fasten your seatbelts. If you think you know what's coming, you don't. Trevino's exit comes with him being cast in ABC's Kingmakers pilot, and executive producer Julie Plec saying that they "look forward to finding creative ways to make sure he and his character Tyler Lockwood always remain a part of the show." This seems to hint that Tyler's exit isn't going to be a deathly permanent one. Dobrev's, however, is wrapped up in a lot more secrecy. Creatively, some people have said, ‘Please don’t ever kill me,’ and other people have said, ‘I’ve got a shelf life, but I’m 100% in it until then. And so, that will play itself out over the next couple of years, and then we’ll see how long the show survives and how long it stays fresh. Read into that what you will, but the "shelf life" line jives pretty well with Dobrev's "I always knew I wanted Elena's story to be a six season adventure."